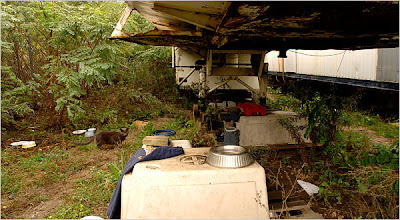 "(The cats) are not near the runway at all. You'd never know they're there. They're two miles from the main terminal and they don't attract birds. I've never seen a bird there." The Port Authority of New York and New Jersey (PA), ably assisted by the fiends at the United States Fish and Wildlife Service (USFWS), is currently in the process of trapping and removing around one-hundred cats from JFK Airport on Jamaica Bay in Queens, New York. The cats, who along with their ancestors have lived at the sprawling five-thousand-acre complex for decades, are being turned over to Animal Control which is planning on killing them. "We are not going to be able to hold the cats for a long period of time," Richard Gentles, spokesperson for the killing factory, told AM New York on October 30th. (See "JFK Cats Facing Death.") "It's a pretty quick decision." The cats reportedly have been sterilized, vaccinated, microchipped, and then placed on death row. More than likely all of them will be killed unless the public comes forward and offers them homes. Although this mass slaughter has only come to the attention of the slipshod capitalist media in the past ten or so days, it apparently has been going on since this past summer if not before. Neither the media nor the PA is willing to reveal how many of the cats have been killed already. "The airport wants the cats out of there, and we think they're killing them," Berta Horvath, one of their caretakers, told The New York Times on October 26th. 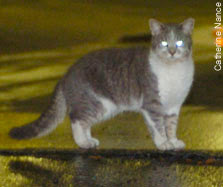 (See "Stray Cat Roundup at JFK Worries Rescue Groups.") "Now the police are telling us if we keep showing up, they're going to arrest us." According to the PA's mouthpiece, Pasquale DiFulco, the cats are being given the bum's rush because food left out for them by kindhearted airline employees and rescue groups is attracting sea gulls. This in turn, he alleges, enables the gulls to fly into the engines of jets and thus endanger the lives of the forty-six-million passengers who fly in and out of JFK each year. Those are, quite obviously, blatant lies concocted by the suits at the PA in order to justify snuffing out the lives of the cats. First of all, without the cats the rodent infestation unquestionably would be much worse. Secondly, while birds flying into departing and arriving airliners is sans doute a concern, the PA's claim that they are subsisting on cat food is absurd. Often called the rats of the sea, gulls are resourceful hunters and scavengers that do not need leftover morsels of cat food in order to flourish. To claim otherwise is to do them an injustice. First of all, they are quite capable of hunting fish, crabs, shellfish, and rodents along the shoreline of Jamaica Bay. Secondly, there are tons of unattended garbage at the airport for them to raid as well as handouts to be cadged from passengers and employees. As far as food left out for the cats is concerned, the sea gulls can only get at it if they are first cognizant of its location and since the cats are fed in cargo areas that seems an unlikely scenario. (See photo above of a feeding station at Delta Airlines.) Besides, the cats' caretakers are certainly not so stupid as to put out food where it can be instantaneously gobbled up by a flock of ravenous sea gulls. The real problem with the birds stems from the PA's initial decision to construct an airport inside the Jamaica Bay Wildlife Refuge. Consequently, removing the cats is not going to make the shorebirds go away or stop them from flying into jets. This assessment is borne out by the testimony of airline employee and former caretaker of the cats, Robin Umbley. "(The cats) are not near the runway at all," she told The New York Times on October 29th. (See "Cat People Confront Airport People.") "You'd never know they're there. They're two miles from the main terminal and they don't attract birds. I've never seen a bird there." Compounding the despicable crimes of the PA is the petit fait that the vast majority of the cats are believed to be either pet cats or their descendants that were lost in flight by the carriers servicing JFK. This consideration alone should be sufficient motivation in and of itself to prompt any morally responsible governmental agency to grant the cats clemency. Unfortunately, fairness and compassion are not part of the vocabulary of the monsters who operate the PA.
To point to keep in mind is that these cats are homeless through no fault of their own. Moreover, their inalienable right to life and liberty is no less sacrosanct than that of their human counterparts. The cats' history as well as the testimony of their caretakers and others also disproves the PA's assertion that they are feral. "Some of the guys call them and pet them," airport shuttle bus driver Narine Sriprasad told the New York Post on October 26th. (See "Fur Flies at JFK.") "They are not scared. They're friendly." Umbley concurs. "They're basically house cats that don't have a house," she told The New York Times in the October 29th article cited supra. Nonetheless, the PA and Animal Control are spreading the lie that the cats are feral and cannot be socialized. Thus, according to their skewed moral compasses, it is permissible to kill them. The truth of the matter is that it is never morally correct to kill a cat, feral or domestic. Moreover, most feral cats can be socialized to one degree or another if the time and effort is taken. Obviously, Animal Control is too lazy, cheap, and bloodthirsty to make any investment in them other than jabs of sodium pentobarbital to the heart. As this life and death drama has been unfolding the recriminations have been flying. Apparently, rescue groups have been trying to convince the PA to accept a TNR plan for the cats for about three years but have been rebuffed time and time again. All that is known for certain, however, is that the American Society for the Prevention of Cruelty to Animals (ASPCA) earlier this year offered to trap and sterilize the cats but was turned down by the ailurophobes at the PA. (See New York Post, October 30, 2007, "ASPCA's Aid.") The PA's agenda all along has been to get rid of the cats. As deplorable as the PA's actions are, the conduct of animal rescue groups leaves much to be desired. 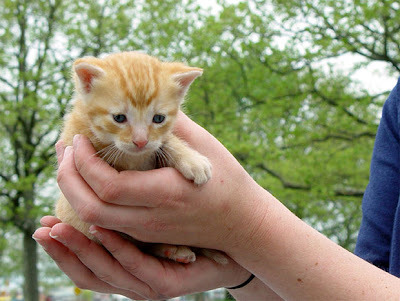 New York City is arguably the wealthiest town in the world and for New Yorkers to sit back and allow Animal Control to kill these defenseless cats is inexcusable. It would not be all that difficult for the city's various rescue groups to pool their resources and save the cats from the butchers at Animal Control. Homes could be secured for some of them with the remainder either relocated to sanctuaries or released to managed colonies elsewhere. There is no reason for any of these cats to be killed! This incident also gives the City of New York a black eye and is a huge setback in its quest to join San Francisco and other cities as a no-kill community. Gotham advertises itself as the greatest city in the world but when it comes to the way in which it treats its resident felines it is nothing but a crude backwater. Moreover, the silence of old moneybags himself, Mike Bloomberg, is deafening. The mayor has obviously forgotten that Dante reserved the hottest corner of Hades for those who remain neutral in times of great moral crises. Of course, he probably is just too busy counting his shekels to even care. Over the weekend the Mayor's Alliance for NYC's Animals attempted to fob off the problem onto the already weighty shoulders of Alley Cat Allies of Bethesda, Maryland. Since they have been so proficient in the past at dumping garbage, homeless people, and mental patients elsewhere, the city elders are no doubt angling to do the same thing with the cats. Finally, it is not the least bit surprising that wildlife officials have been lending their expertise to the PA in its effort to get rid of the cats. 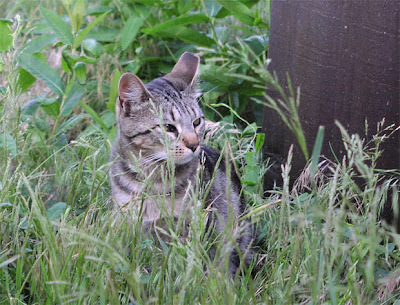 Earlier this year, the USFWS along with the New Jersey Department of Environmental Protection tried to strong-arm Cape May into scrapping its every successful TNR program and to thus kill off its feral cats. In conclusion, since it is highly unlikely that the PA is going to have a change of heart it is time for cat advocates to concentrate their attention on Animal Control. Above all, they must find the resolve and resources in order to free these defenseless cats from the diabolical clutches of the knackers and get them into a safe and sustainable living arrangement. Photos: The Gothamist (kitten and gray cat in the grass), Robert Stolarik of The New York Times (feeding station), and New York Post (cat caught in the lights).